The Classic Raku is a spirited spin on the more traditional classic design. The raku process brings out so many beautiful hues including blue, green, purple, and red - no two urns are alike! 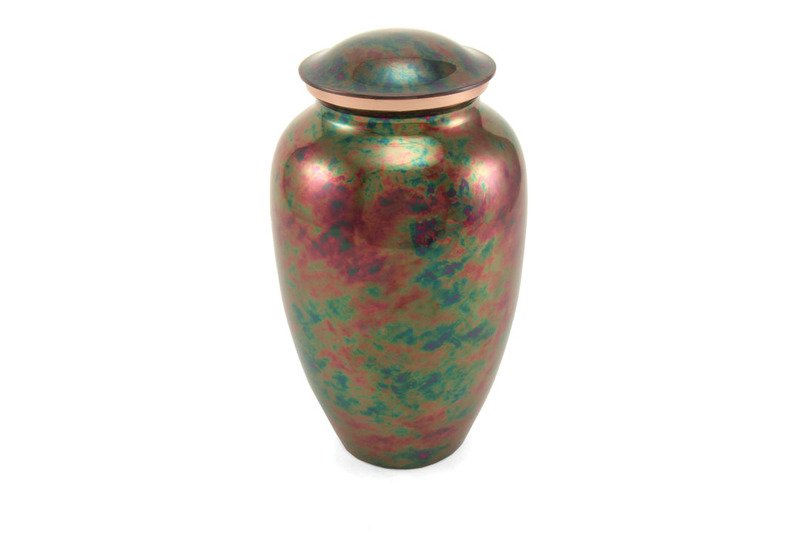 The stainless steel urn is copper plated and features a copper accent around the lid. 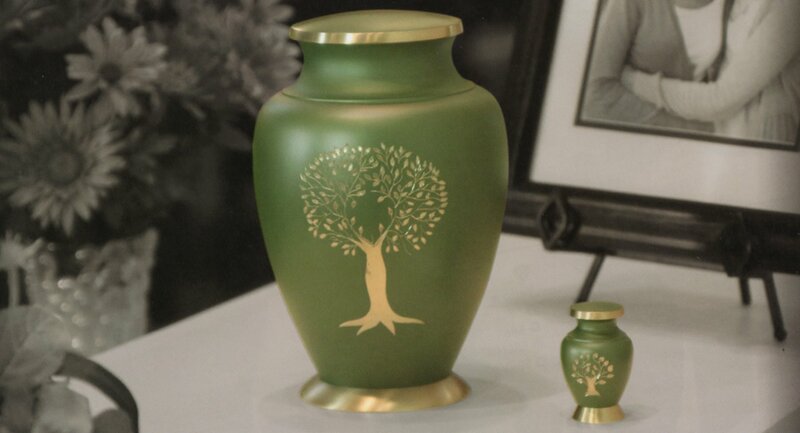 Matching keepsakes complete the collection.